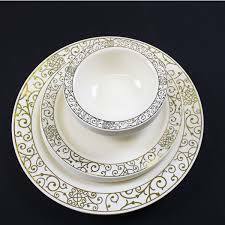 Providing you the best range of acrylic crockery for hotels, acrylic full and quarter plate, acrylic north indian crockery and fancy acrylic crockery with effective & timely delivery. We are one of the well-known manufacturers and suppliers of Acrylic Crockery for Hotels. The offered acrylic crockery for hotels is specially designed for hotels and motels. Our supplied Acrylic Crockery for Hotels is highly acclaimed and liked by the clients, owing to the temperature resistance and durability. 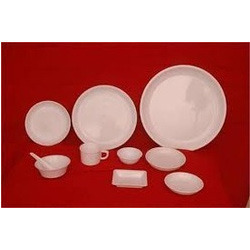 The offered Acrylic Crockery for Hotels is very cost effective in rates. In order to fulfil the ever changing demands of our clients, we are offering a wide range of Acrylic Full and Quarter Plate. These Acrylic Full and Quarter Plate are manufactured using quality assured raw material that is sourced from the most reliable vendors in the market. We designed these products as per the latest market trends under the supervision of our skilled experts. 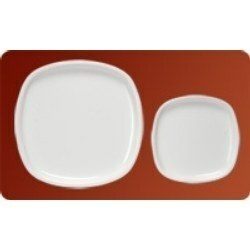 We offer these plates as per the requirements mentioned by our clients at industry leading prices. Indians are fond of spicy food and snacks and to maintain their enjoyment of food, we are offering beautifully designed Acrylic North Indian Crockery that enhances the joy of Indian snacks. To meet the need and requirements of our clients, our team of skilled professionals manufactures the product with mesmerizing design and attractive look. Acrylic North Indian Crockery are highly in demand by our clients for durability, soft texture, fine finish, eye-catching look and ease of comfort. Fancy Acrylic Crockery is one of the main products delivered by our company. We are counted among one of the leading Fancy Acrylic Crockery suppliers and is accomplished to garner a vast supply chain across the globe. Fancy Acrylic Crockery are tested at all the stages to ensure their supreme quality. The wide assortment of our products owes premium quality, durability, distinguished patterns, attractive designs, exclusive shapes, perfect color blend. 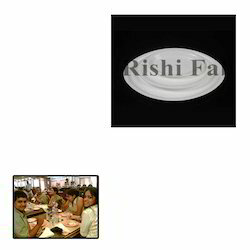 Peerless class crockery is delivered by us within the stipulated time frame at cost effective prices. Fancy Acrylic Crockery are properly packed so that it could reach safely to our clients.